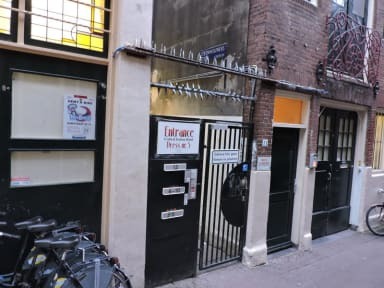 Central Station Hostel i Amsterdam, Nederländerna : Boka nu! Generally ok stay, very cheap. The location is unbeatable! Close to everything and René's bakery just outside the door is always bustling with people. The beds were clean but there are no electrical outlets close to them. The en suite bathroom was pretty nasty most of the time but a lot of it had to do with my roommates. They were very inconsiderate so good thing the staff was friendly! Would have really liked a microwave, water boiler or anywhere to prepare a bit of food. Fräscht hostel med trevlig personal! Väldigt centralt! 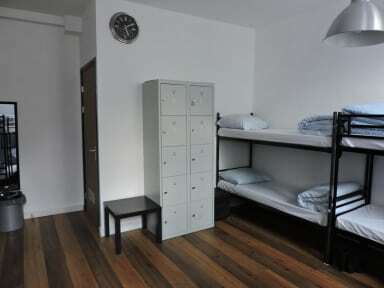 Not sure why it's called central stati9n hostel when it's not by the central station. Very good placement for the city though.